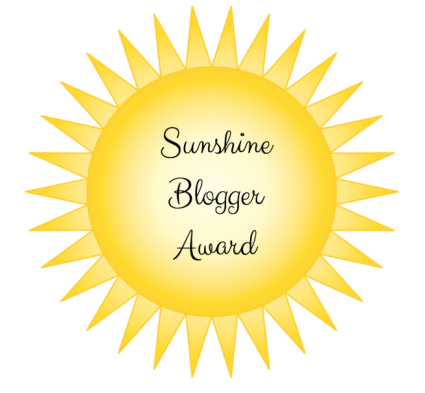 A few days ago Virginie of The Wonderful World of Cinema nominated me for the Sunshine Blogger Award. I'd like to thank Virginie very much! As to the award itself, it's a lot like the Liebster Award. 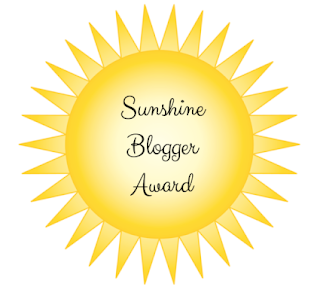 One answers 11 questions from the blogger who nominated him or her, nominate 11 other bloggers, and then give them 11 questions. Anyway, here goes! 1. Except for the USA… which country do you think makes the most interesting and worthy movies? This is an easy question for me to answer. I think that honour would go to the United Kingdom. I love films from Japan, France, Italy, and many other countries as well (in fact, Akira Kurosawa is my all time favourite director), but I think the UK has historically produced the best films. 2. If your life had to be like a movie, which movie would you choose? The Sixties are my favourite decade and The Beatles are my favourite band, so I would say either A Hard Day's Night (1964) or Help! (1965). 3. Which movie star inspires you the most? It doesn’t necessarily have to be your favourite. That's hard to answer as there are several. Hedy Lamarr was an inventor as well as the most beautiful woman in the world. Ida Lupino directed films and television at a time when there were very few female directors. Eddie Arnold was a war hero who never boasted about his own heroism, only of the Marines he saved. There are a lot of movie stars who inspire and I really can't say which one does the most. 4. What is your favourite catastrophe movie of the 70s (the golden decade of catastrophe movies)? Does Airplane! (1980) count? That's actually my favourite, even if it was a comedy. If not, I think I'd go with Earthquake (1974). 5. To you, who is the most iconic actress of all times and the most iconic actor of all times? It is hard for me to pick an actress, as there are so many I would consider iconic. I would probably go with Audrey Hepburn, who has remained popular to this day. As to actor, that is easy. Cary Grant. 6. Is there a book you would like to see a movie adaptation of? Who would star in it? Well, I think it would work better as a TV mini-series, but I would love to see WeaveWorld by Clive Barker made into a film. I would have to re-read the book to know who I would want to cast though. 7. You think Audrey Hepburn made her best movies with Billy Wilder, William Wyler or Stanley Donen? I chose the movie directors with whom she made more that just one film. Well, my favourites were directed by George Cuckor and Blake Edwards (My Fair Lady and Breakfast at Tiffany's), but I would go with Billy Wilder, as Sabrina is also one of my favourites. 8. If you had the chance to own all the costumes of one movie, which one would it be? Any of the early Bond movies. I really could use a new suit. 9. What do you think was the prettiest Oscar dress? I have no idea. I don't pay attention to the dresses at the Oscars. 10. The ugliest? As I said earlier, I don't pay attention to the dresses at the Oscars. And now for the 11 questions. 1. If you could live in any house from any film, what would it be? 2. Of the actresses in the running for the role of Scarlett O'Hara, who would have been the absolute worst? 3. Since Halloween is coming up, what do you think is the scariest horror movie of all time? 4. If you could marry any character from any movie, who would it be? 5. What was the worst film ever to win the Oscar for Best Picture? 6. Okay, apparently Turner Classic Movies's inclusion of her in their Trailblazing Women series caused some controversy, so I have to ask this. Was Marilyn Monroe a trailblazing woman or not? 7. Who is your all time favourite female director? 8. If you could adapt any television show as a feature film, what would it be? 9. Who was the best Dracula ever in the movies? 10. What is your favourite song from a movie (it has to be an original song, not one from Broadway or that had been released before)? 11. What is your favourite era for movies? Congratulations to everyone and thanks to Virginie! Last night we had thunderstorms and I did not sleep well. For that reason I don't feel much like writing a full-fledged blog post. That having been said, it is the birthday of one of my favourite rock musicians and composers of all time. I have been a fan of Matthew Sweet since the release of his album Girlfriend in 1992. Over the years he has recorded many songs I love and this is possibly my favourite, "Sick of Myself". It was 60 years ago today that Playhouse 90 debuted on CBS. Even upon its premiere it was something of an anachronism. Live anthology shows were already in decline by 1956. It should then be no surprise that it was the last live anthology series of any importance to debut. That having been said, except perhaps for Studio One it would prove to be the most acclaimed live anthology series of them all. It won two Peabody Awards, a Writers Guild Award, and nine Emmy Awards. It was nominated for many more. At 90 minutes in length, it was able to feature more complex stories than other shows. Playhouse 90 was the brainchild of Dr Frank Stanton, the President of CBS and the right-hand man of chief executive William S. Paley. Simply called Program X in its early stages, the series was ultimately developed by Hubbell Robinson, CBS's vice president in charge of network programmes. 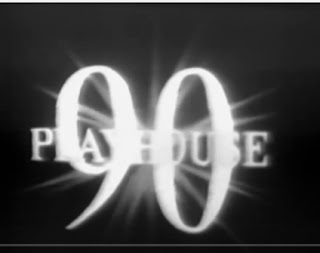 It was originally intended that Playhouse 90 would alternate between three different producers: Carey Wilson, who had written screenplays during the Silent Era (including 1925's Ben Hur) and produced such films as Dark Delusion (1947) and Scaramouche (1952); Fletcher Markle, who had produced such TV shows as The Ford Television Theatre and Studio One; and Martin Manulis, who had produced the shows Studio One, Suspense, and Climax. Martin Manulis worried that disagreements would quickly arise between the three producers, and tried to leave the show. Hubbell Robinson had other ideas. He dismissed Carey Wilson and Fletcher Markle and hired Martin Manulis as the one and only producer of Playhouse 90. The roots of Playhouse 90 trace back to the mid-Fifties television programming phenomenon known as "spectaculars". Spectaculars were essentially television specials that were ninety minutes or more in length and utilised big name talent along with large budgets and the best in production values. Spectaculars were conceived by the legendary Sylvester "Pat" Weaver, the NBC executive also responsible for Today and The Tonight Show. As conceived by Mr. Weaver, spectaculars would air every four weeks on NBC, pre-empting whatever shows were generally in a time-slot. NBC's spectaculars met with some success, so that CBS naturally responded with their own. Ford Star Jubilee was an anthology series of nothing but spectaculars. It aired on Saturday nights at 9:00 Eastern Time and ran the gamut from live musicals to the first network broadcast of the classic The Wizard of Oz (1939). Unfortunately it would only last the 1955 to 1956 season. While The Wizard of Oz, an adaption of The Caine Mutiny Court-Martial, and some of their musical specials did very well in the ratings, other Ford Star Jubilee spectaculars did very poorly. Given the sheer expense of Ford Star Jubilee and its occasional poor performance in the ratings, it should come as no surprise that its sponsor, Ford Motor Company, chose to withdraw from the programme. For the 1956-1957, they chose to sponsor the half-hour Western anthology Zane Grey Theatre instead. Hubbell Robinson and others at CBS ultimately arrived at the conclusion that it simply was not feasible for any network to produce more than 10 spectaculars per season of a quality sufficient for them to justify their costs, not to mention the pre-emption of regularly scheduled programmes. The solution to this problem was a regularly scheduled, ninety minute programme that would boast the production quality of the spectaculars. Quite simply, the solution was Playhouse 90. Playhouse 90 was then planned to utilise big name talent and to boast high production values. It was a very expensive show to produce. Its official budget was $100,000 per episode, but producer Martin Manulis soon realised that amount would not get the big name talent that CBS wanted. He then reached an agreement with Hubbell Robinson that Playhouse 90 would pay for the first star out of its budget, while CBS would pay extra for any others. In the end, then, most episodes ran over $150,000 to make. Not only were the actors on Playhouse 90 paid very well, but so too were writers and directors. Writers could be paid upwards of $7500 for a teleplay, while directors could be paid upwards of $10,000 per episode. To help alleviate the high costs of the live telecasts, it was decided from the beginning that every fourth episode would be a filmed one rather than live. Screen Gems produced some of the filmed episodes, while CBS produced others. In terms of quality, the budget of Playhouse 90 certainly paid off. John Frankenheimer, who had earlier worked with producer Martin Manulis on Climax, directed the most episodes of any director. He would go onto direct such films as Birdman of Alcatraz (1962), The Manchurian Candidate (1962), and The Train (1964). Franklin J. Schaffner, who would go onto direct Planet of the Apes (1968) and Patton (1970), would also direct several directors. Other directors who worked on Playhouse 90 included Arthuer Hiller, Sidney Lumet, Arthur Penn, and George Roy Hill. Of course, in 1956 television was still to some degree a writer's medium, and the strength of Playhouse 90 was arguably its teleplays. The show made its mark with only its second episode, Rod Serling's legendary teleplay "Requiem for a Heavyweight". It was later adapted as the 1962 film of the same name. Walter Gibson would adapt his Playhouse 90 teleplay "The Miracle Worker" as a three-act play that premiered on Broadway in October 19 1959 and later provided the basis for the 1962 film of the same name "The Helen Morgan Story", written by Paul Monash, Lulu Morgan, and Leonard Spigelgass and based on the life of singer Helen Morgan, was adapted as the 1957 film of the same name. "Judgement at Nuremberg", written by Abby Mann and based on the actual military tribunals in Nuremberg, was adapted as the 1961 film of the same name.Rod Serling picked up two Emmy Awards for Best Writing of a Single Dramatic Program - One Hour or Longer for his Playhouse 90 episodes "Requiem for a Heavyweight" and "The Comedian". The show was nominated for yet other episodes in the Best Writing of a Single Dramatic Program - One Hour or Longer category. Playhouse 90 featured many well known actors, including stars of stage and screen who rarely appeared on television. Indeed, Charlton Heston appeared in the very first episode of the show, "Forbidden Area". Among the many well known actors to appear on Playhouse 90 were Peter Lorre, James Mason, Melvyn Douglas, Mary Astor, Jackie Coogan, Everett Sloane, Vincent Price, and Boris Karloff. Not surprisingly, some of Playhouse 90's Emmy wins were in the acting categories. Jack Palance won the Emmy for Best Single Performance by an Actor for "Requiem for a Heavyweight", while Polly Bergen won the Emmy for Actress-Best Single Performance-Lead or Support for "The Helen Morgan Story". It was nominated several other times in the acting categories. While Playhouse 90 was critically acclaimed and won several awards, it was never a smash hit in the ratings. Sadly, its ratings would decline over time. This situation was complicated by the sheer cost of the programme to produce. With its third season cancellation was a very real possibility for Playhouse 90. Unfortunately, for its fourth season Playhouse 90 would share its time slot with the short lived variety show The Big Party, airing only every other week. As the season progressed, it aired even less frequently. Playhouse 90 then ended its run with the 1959-1960 season. CBS would air reruns of Playhouse 90 during the summer of 1961. Playhouse 90 debuted just as the Golden Age of Television was coming to an end. Some might even argue that the Golden Age of Television had already come to an end when it debuted. By 1956 television was increasingly dominated by filmed series with continuing characters, such as Gunsmoke and The Phil Silvers Show. In the mid to late Fifties most of the long running, live anthology shows would go off the air, including The Kraft Television Theatre, Goodyear Television Playhouse, and, a show often counted among the greatest of them, Studio One. Playhouse 90 was in many ways a last hurrah for the live anthology shows. Except for Hallmark Hall of Fame (which continued to air live programmes into the Sixties), it was the last major live anthology show ever aired. There are those who have argued that with its exceedingly high budgets and lavish production values Playhouse 90 inadvertently led to the demise of the live anthology shows; however, that seems unlikely, as the live anthology shows were on the way out the very season that Playhouse 90 debuted. While Playhouse 90 was among the last of its kind, it was also arguably the greatest of its kind. The show produced a number of critically acclaimed and award winning teleplays, including "Requiem for a Heavyweight", "The Miracle Worker", "The Helen Morgan Story", "Judgement at Nuremberg", "The Comedian", and many others. Many of these teleplays would later be adapted as films and one was even adapted as a Broadway play ("The Miracle Worker"). Many of those who wrote episodes of Playhouse 90 would go onto highly successful careers. Abby Mann (who wrote "Judgement of Nuremberg") went onto a successful career as a screenwriter. Leslie Stevens also went onto a highly successful career as a screenwriter, as well as creating the TV series The Outer Limits. Rod Serling, already a somewhat established name when he wrote "Requiem for a Heavyweight", went onto create The Twilight Zone. As pointed out above, many of its directors went onto work on feature films. Although it is not often acknowledged, Playhouse 90 could be considered as being pivotal in the development of TV movies. At ninety minutes in length, its filmed episodes could essentially be considered early television movies. They pre-date what is generally considered the first TV movie, See How They Run (1964), by several years. Regardless, Playhouse 90 certainly proved that audiences were willing to watch dramas longer than an hour in length. The cancellation of Playhouse 90 can be seen as a turning point in American network television. After Playhouse 90 the only anthology show to regularly air anything live would be the irregularly scheduled Hallmark Hall of Fame. Only a few filmed anthologies would persist after the cancellation of Playhouse 90, and most of those would be devoted to a specific genre. By the mid-Sixties even such successful filmed anthology shows as The Alfred Hitchcock Hour, The Twilight Zone, and Thriller, would no longer be on the air. Playhouse 90 was not only arguably the greatest live anthology show, but it also truly marked the end of an era. It was 75 years ago today that The Maltese Falcon (1941) premiered in New York City. It opened to overwhelmingly positive reviews and it also did well at the box office. It has since become regarded not only as a classic, but also as one of the greatest movies ever made. The Maltese Falcon (1941) was based on the 1929 novel of the same name by Dashiell Hammett. The novel was originally serialised in the pulp magazine Black Mask in five parts starting with its September 1929 issue. In 1930 it was published as a book by Alfred A. Knopf. What is not widely known to day is that The Maltese Falcon (1941) was not the first film adaption of the novel. In 1931 Warner Bros. released its first screen adaption of the book, starring Ricardo Cortez as Sam Spade. As a fairly faithful adaption of the novel, The Maltese Falcon (1931) featured content that would later be considered objectionable once the Production Code was more strictly enforced in 1934. When Warner Bros. tried to re-release the film in 1936, they were denied approval by the Production Code Administration. Warner Bros. then made a very loose adaption titled Satan Met a Lady (1936). Satan Met a Lady departed so much from the novel that the lead character was not even named "Sam Spade", but "Ted Shane" instead. Satan Met a Lady received abysmal reviews and would soon be forgotten. That having been said, The Maltese Falcon was still a very popular book in the late Thirties and early Forties, and Warner Bros. still owned the film rights. It should be little wonder then that screenwriter John Huston chose it as his directorial debut. Unfortunately, while Warner Bros. liked John Huston's screenplay of the novel, they decided to place restrictions upon him since he was a first time director. They gave him only six weeks in which to shoot the film and they gave him a budget of only $300,000. What was worse is that Warner Bros. made it clear that if he went over budget he would then be out of a job. John Huston then storyboarded every scene and outlined the film shot by shot in the screenplay for both him and his crew. He also broke with traditional Hollywood filmmaking by shooting most The Maltese Falcon in sequence. Today Sam Space is one of Humphrey Bogart's best known roles, so much so that it is hard that anyone could be considered for the role. Amazingly enough, Warner Bros. originally wanted George Raft to play Sam Spade in the film. In fact, as late as four days before shooting was to begin Mr. Raft was scheduled to report to the set. That having been said, George Raft was not very enthusiastic about the role. He did not like the idea of working with a first time director and he did not think The Maltese Falcon (1941) would be a very important film. George Raft had a clause in his contract that allowed him to veto films that he did not think were worthy of him, and so he exercised that power on The Maltese Falcon (1941). Warner Bros. then briefly considered Edward G. Robinson for the role before deciding upon Humphrey Bogart. Not only was Humphrey Bogart not the first actor considered for the role of Sam Spade, but neither was Mary Astor the first actress considered for the role of Ruth Wonderly. Warner Bros. originally wanted Geraldine Fitzgerald, whom they had under contract, in the role. Geraldine Fitzgerald was not particularly interested in The Maltese Falcon (1941). Fortunately Mary Astor had read the script and was very interested in the film and the role of Ruth Wonderly. She was then cast in the part. John Huston's father, actor Walter Huston, had wanted to appear in his son's first film for good luck. It is for that reason that he makes a very important, but uncredited cameo in The Maltese Falcon (1941). Walter Huston played Jacobi, the captain of the freighter La Paloma, who staggers into Sam Spade's office with the statuette of the title and then promptly dies. Ultimately The Maltese Falcon (1941) would be very faithful to the original novel. Almost all of the dialogue in the film is taken straight from the book. Most of the scenes in the novel made into the film as well, with John Huston only omitting one scene when he realised it could be handled through a phone call instead. Of course, the Production Code would require some major changes to the material. Any overt references to homosexuality were strictly forbidden, so it could only be strongly implied in the film. The Production Code Administration had also wanted the consumption of alcohol to be reduced, although John Huston refused to do away with it entirely as it was central to the character of Sam Spade. Upon its release The Maltese Falcon (1941) received a good deal of critical acclaim. It also did very well at the box office. It received three Academy Award nominations: Best Picture; Sydney Greenstreet for Best Supporting Actor; and John Huston for Best Adapted Screenplay. Due to the film's success, Warner Bros. had planned a sequel to the film. John Huston had written a script titled Three Strangers that Warner Bros. had purchased many years ago, and the studio thought the script could be altered to feature the characters from The Maltese Falcon (1941). Plans for the sequel would be squashed when Warners Bros. learned that they neither owned the sequel rights to The Maltese Falcon nor did they own the rights to the characters. Three Strangers would eventually be made with Sydney Greenstreet and Peter Lorre playing very similar characters to the ones they had played in The Maltese Falcon (1941). Since its release The Maltese Falcon (1941) has come to be regarded as one of the greatest films of all time. In 1989 The Maltese Falcon (1941) became one of the very first films added to the Library of Congress's National Film Registry as a movie that is ""culturally, historically, or aesthetically significant". On the American Film Institute's 1998 list AFI's 100 Years…100 Movies it was ranked at no. 23. In 2002 author Andrew J. Rausch included it in his book The Hundred Greatest American Films: A Quiz Book. In July 2013 it made the list of Entertainment Weekly's All Time Greatest Movies. On the review aggregate site Rotten Tomatoes it is one of the very few movies with a score of 100%. 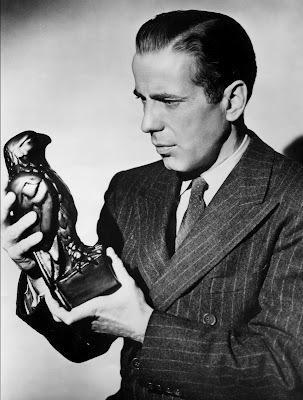 Not surprisingly The Maltese Falcon (1941) would have a lasting impact on film. Its influence on film noir has often been acknowledged, to the point that some believe it to be the first film noir. Parodies of and homages to The Maltese Falcon (1941) are plentiful, with everything from the classic TV show The Avengers to the movie The Black Bird (1975) referencing it. The Maltese Falcon (1941) would led to yet more hard boiled detectives similar to Sam Spade making it to the big screen. Humphrey Bogart himself would play Raymond Chandler's detective Philip Marlowe in The Big Sleep (1946). What is more, its influence would go well beyond the Forties. The hard boiled detectives of Chinatown (1974) and Blood Simple (1984) owe something to Sam Spade in The Maltese Falcon. Seventy five years after its premiere the reputation of The Maltese Falcon has not diminished. It is still regarded as one of the best films ever made and its influence on cinema is still being felt.